Italy's Magneti Marelli says it will build a plant with a local company in the northeast China city of Changchun to produce powertrain parts for automobiles. Under a joint venture agreement with Changchun Fudi Equipment Technology Development Co., the partnership will make intake manifolds, throttle bodies, fuel rails and air-fuel modules. Major customers will be Chinese carmakers in northeast China, such as China FAW Group Corp. The partners will initially invest 14 million euros (116 million yuan). Magneti Marelli will own a 51 percent stake while Fudi, a Chinese supplier of aluminum parts for vehicles and railway trains, will have a 49 percent share. The joint venture is expected to start production at the end of this year. At full capacity, it will produce up to 1.7 million intake manifolds and 1.2 million throttle bodies a year. 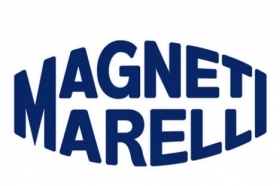 Magneti Marelli entered China in 1996. It currently has four plants in China that produce powertrain components, exhausts, lighting, shock absorbers and other components.